We Stand with State Workers in Illinois! Bruce Rauner will bring his anti-worker agenda to Elgin. He is speaking at Elgin’s Public House at 219 E. Chicago Street, Elgin 60120 on Friday, March 6th at 4:15 PM. 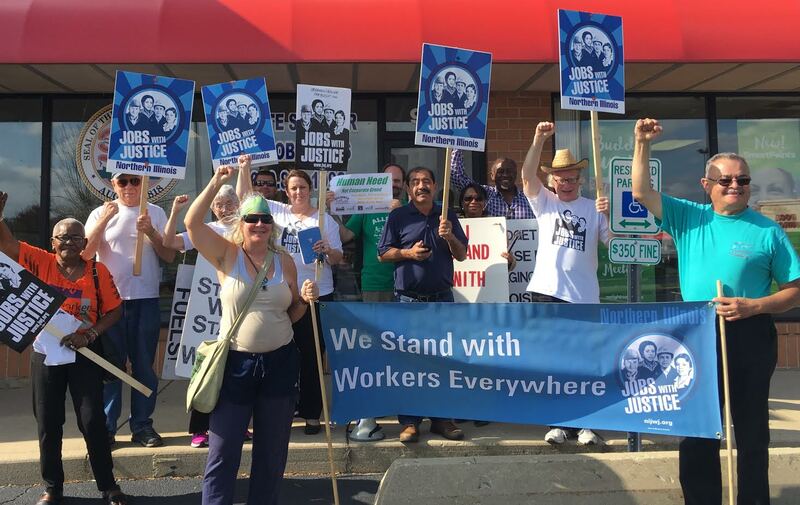 Fox Valley Citizens for Peace & Justice will join with Northern Illinois Jobs with Justice and several unions and will form a mass picket on the street in front of that restaurant.